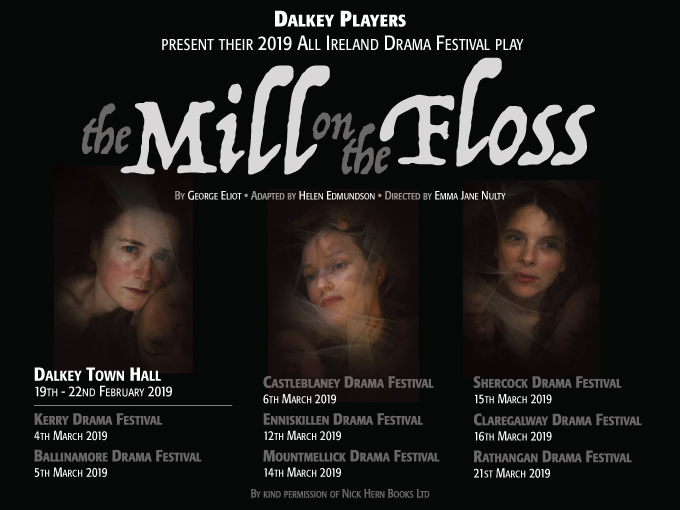 The Mill on the Floss back for ONE NIGHT ONLY! Showing January 22nd – 25th in Dalkey Town Hall. 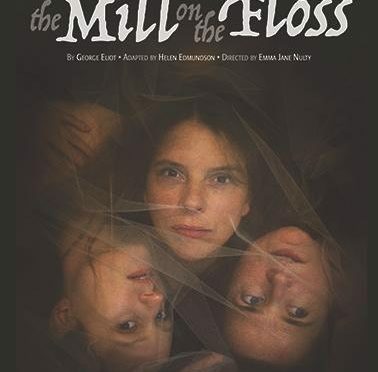 The Mill on the Floss is a work of startling sadness. It is one of the most affecting stories of family loss, tragedy and the sheer meaness of fate. Maggie Tulliver, is the daughter of a miller in the English midlands. Like many nineteenth century literary girls, her intelligence and emotional capacity outflank those of her family and this causes problems. She is devoted to her brother Tom but he is hopelessly limited in his understanding. Maggie turns to Philip Wakem, who is the son of a local lawyer. Disaster strikes their relationship as Mr Tulliver and Wakem find themselves enemies over a legal dispute that leaves Tulliver bankrupt. In the rising floodwaters you see very mixed emotions of a woman trapped and doomed by the expectations of a society suspicious of an intelligent woman who thinks and feels too much for her own good at that time……. Edmundson’s adaptation re-imagines Eliot’s novel by having three different actors play the heroine Maggie. The three actors play distinct and sometimes contradictory facets of Maggie’s character, at times sharing the performing space and interacting with each other. The device of the three Maggies expresses the heroine’s emotional conflict, with number one arguing for impetuous passion against number two’s moral restraint as number three is drawn into a relationship with her cousin’s wooer. 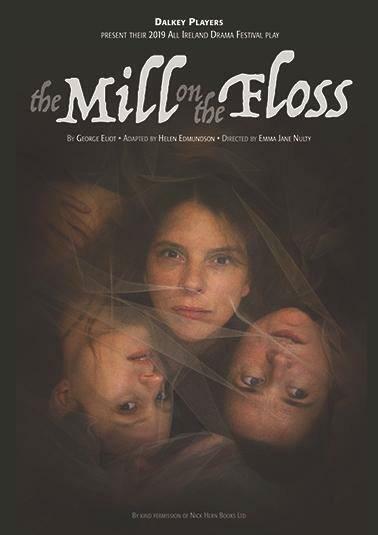 Directed by Emma Jane Nulty, this intensely moving dramatisation of The Mill on the Floss is inventive yet simple. The Cast of 8 play 17 characters. The setting is abstract with an emphasis on physical movement in order to depict the story.